1-What if no one remembers you 100 years from now? Would that change the way you live? 2-What is the purpose of all you are striving for? Do your efforts result in something that really lasts? In this third blog on the subject, I want you to consider that your life matters greatly, but not because of anything you have done to make it have meaning. 2-have my life further messed up by relentlessly pursuing God and begging Him to help me make sense of the suffering that preceded Mark’s death. Since that day I have come to realize that God honors honest pursuits of truth. If God is truth, then our seeking of truth will ultimately find answers in him. Or, as Brent Curtis discovered in “The Sacred Romance”, we will discover that all through our lives He has been pursuing us with truth to let us know how much our existence matters-to Him. It was at another men’s breakfast when, again, something the speaker (Ryan Johnston) said jarred my theology and provoked the thoughts of this third blog. Let me set this up for you. Like you, God has given me a gift set. Throughout my life I have experienced Him using my gifts for his purposes. 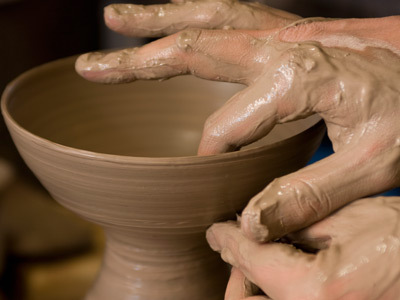 I have always thought we are people who are in a continuous process of being finely crafted instruments for His use. So I see myself as a guitar that He can pick up and play when he has need, and then put back into its case until it is needed again. I have seen myself as being utilized as a means to God’s end. In that sense, I am fairly irrelevant except as He employs me for His purposes. But he could employ others as well as or better than me. This idea has truth in it. Paul said that God’s power was perfected in his weakness, so he was glad to be weak and to see himself as of no account. I kind of like this view because I can remain in the background and even hide away when I choose. “I pray that the eyes of your heart may be enlightened, so that you will know the hope of His calling, WHAT ARE THE RICHES OF THE GLORY OF HIS INHERITANCE IN THE SAINTS” (NASB, my caps). I, we, who are the body of Christ-we are His inheritance. The Father has given Christ an inheritance-we are it. This means that we are not passive, inanimate, tools he uses to reach his end. We are not insignificant beings to be used, discarded, or pacified with treats. We are not merely tools to be used for Christ’s various ends (goals), we are an end. We are His beloved. Scripture says that He holds us in the palm of His hands and sings over us. As I kept thinking about this verse and its significance, I remembered where my search for truth led me after my brother died. Verse 7 in 1 Peter 1 helped me understand God’s purposes in Mark’s sufferings. “So that the proof of your faith, being more precious than gold which is perishable, even though tested by fire, may be found to result in praise and glory and honor at the revelation of Jesus Christ” (NASB). Our faith, our character, our being will be a cause of praise, honor and glory. The heavenly beings will be in awe of what Christ has done in us. In the future. I realized my brother’s suffering was meaningful for an eternal future. His life, your life, and my life matter. A point of clarification is needed here. Actually it is an awareness of great encouragement that separates those in Christ from those not in Christ. I do not bring eternal significance and meaning to my existence-Christ does. It is only as I am His inheritance, as we, being His body, are His bride, that our lives matter. I don’t have to work for it nor do I need to validate my existence. I don’t have to continually check to see if I’m doing ok. We are known, and we are loved. We have eternal significance and will be remembered forever because we are His. We are the beloved of the eternal God. Amen Brother!! We do matter and this is not relevant to anything I have to say or the things I do, yet because we matter, we do… it is very paradoxical. Every time I think of Christ , my Lord and Savior, on the cross dying for me a sinner I know how much my life matters.